Today is my first day of my fourth year of university. One of my favourite parts about getting ready to head back to school is shopping for supplies. I don’t know why, but I am weirdly at peace in stationary and office supplies stores. I think it has something to do with how all the products are nicely stacked on shelves according to size and colour, appealing to my need to have everything just so. Something that I learned about myself while shopping for school supplies is just how picky I can be. For instance, if someone hands me a pen, I write with it, regardless of the brand, ink colour, ink type, or grip configuration, but when it comes to picking out pens for my exclusive personal use, I know exactly what I want and cast aside all other pens as inferior writing utensils. 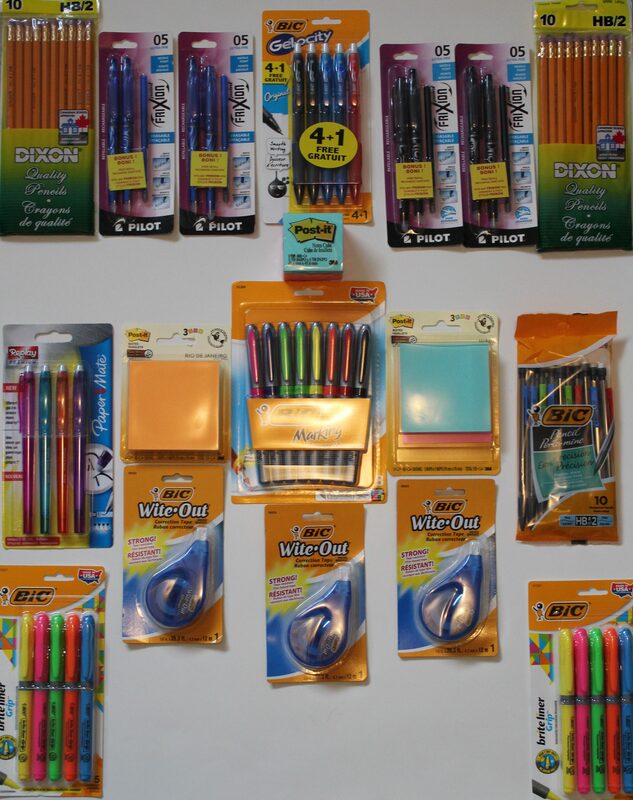 While perusing my school supplies drawer, I noticed that some of my favourites were dwindling, so I hit up a Walmart to replenish my stock, and I wanted to share the supplies that I love using. 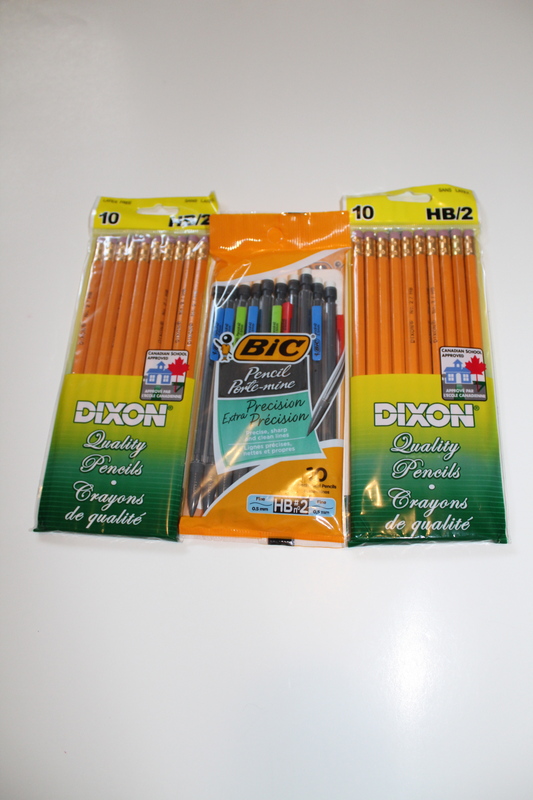 My writing utensil of choice is a Dixon HB pencil. Yes, it must be a Dixon brand pencil. They are easy to distinguish from other pencils because the eraser islight pink, as opposed to white or dark pink both of which smudge the pencil when erasing. I do use mechanical pencils on occasion though, particularly during a multiple-choice exam where the professor uses those Scantron sheets that necessitate a completely filled-in bubble to recognize the correct answer. Each have their own pros and cons: regular pencils require sharpening and the shavings can be messy; mechanical pencils need to be refilled with graphite of a certain size. Personally, I like to stick to regular pencils as much as possible. Last year I strayed from my classic pen choice (Pentel R.S.V.P. medium line) and gave erasable pens a try Well I fell in love. The only trouble is that they run out of ink so quickly, so I picked up the ones that come with a refill. 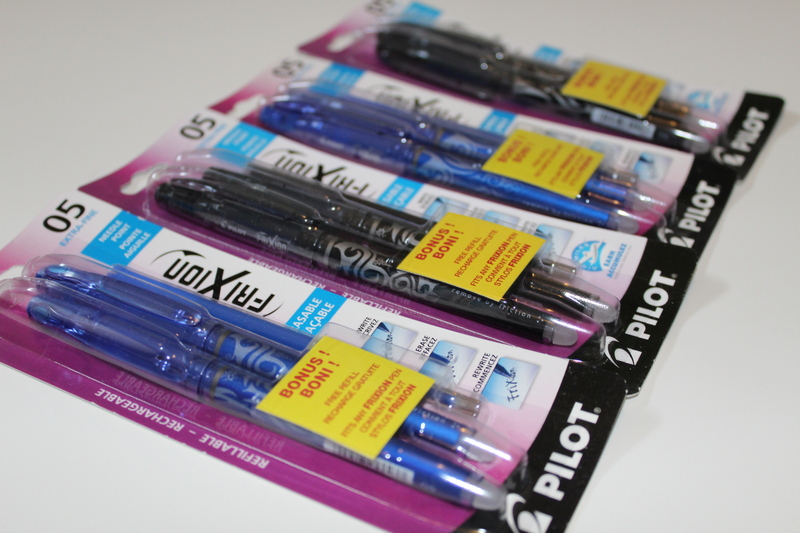 They write really smoothly and evenly, and have that gel pen quality to the lines. However, the ink does not always dry instantly and, for a left-hander like me, this means that I may end up smearing the ink with the side of my hand. The savings on white out tape though neutralize that con, and the smears can easily be erased away. 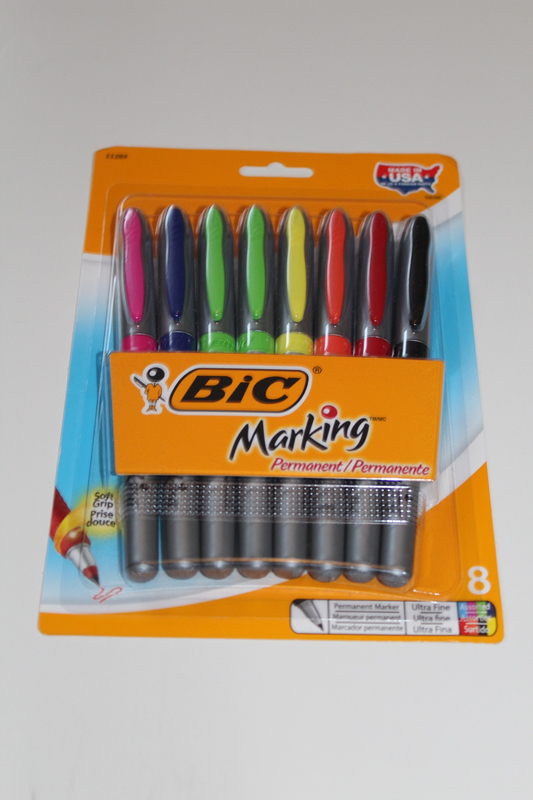 Each year I treat myself to one splurge purchase and this year it was the Bic Marking Permanent Ultra Fine 8 pack. I love using permanent markers for labelling and all through concept maps, and these colours are just so lovely and diverse. I hope they don’t bleed through to the other side of paper too much but I am really looking forward to using these. I didn’t notice until I got home but my package contains two green pens, so I wonder if it is just a coincidence or if all packages come with two greens. 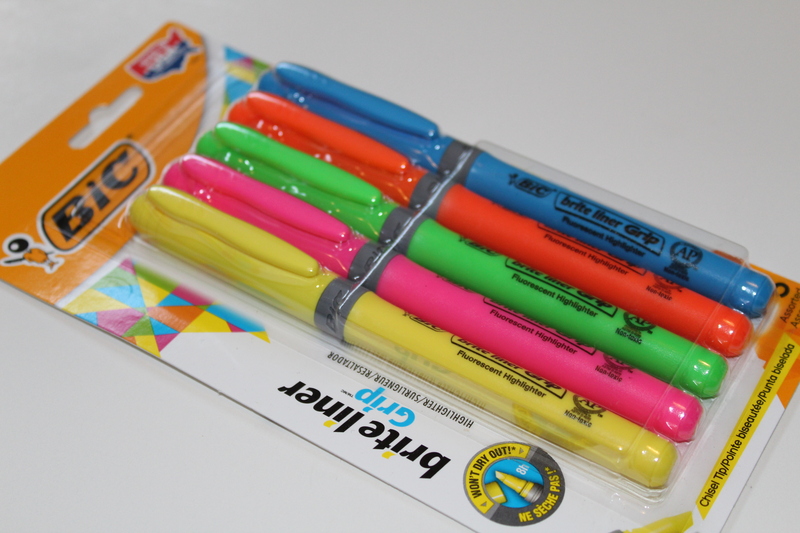 Also, I picked up a ton of highlighters because I go through them like nobody’s business. I have a strict system: yellow for words that are defined, pink for headings, blue for information, green for names, orange for processes, and purple for stats. The purple rarely gets used but the blue is always out halfway through teterm so I am planning ahead. These are also great for sectioning parts of concept maps into related topics. 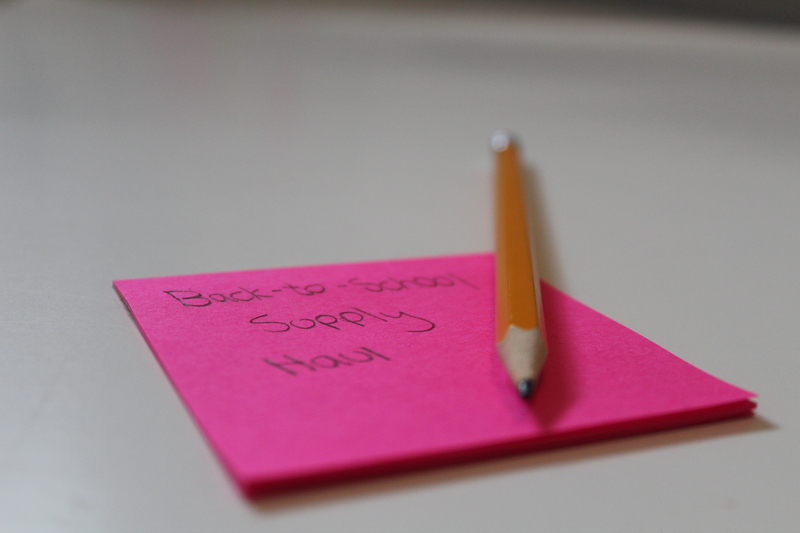 What school supplies are you using this year??? Lovely post!! This year I wasn’t picky about what pens I was using, but I was picky about the notebooks I got. I posted about my haul if you’d like to check it out. My mom is an elementary school teacher so when I needed supplies, I went shopping in our basement, as she has buckets and buckets filled with stuff. I’m never too picky about most of what I use, as long as it works, but some things I’m particular about (like what size sticky notes), and those I either have to lay dibs on, or go to the store for. That basement of yours sounds like the cave of wonders of school supplies. I never thought I was picky until I went shopping with my mother and rejected so many different kinds of pens.